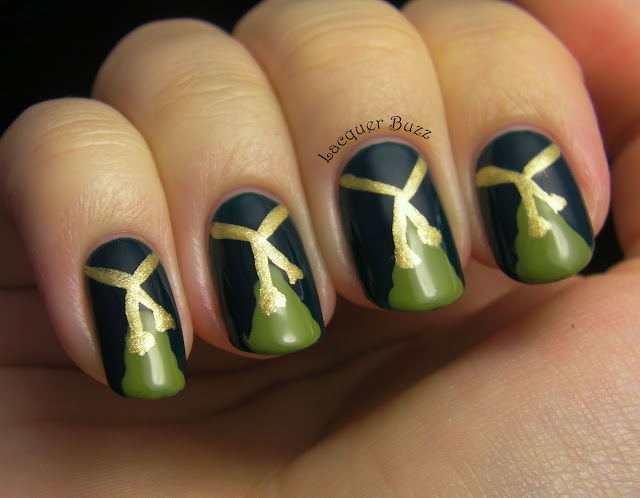 Lacquer Buzz: Girly Girl Nail Art Challenge Day 6: Who Inspires You? 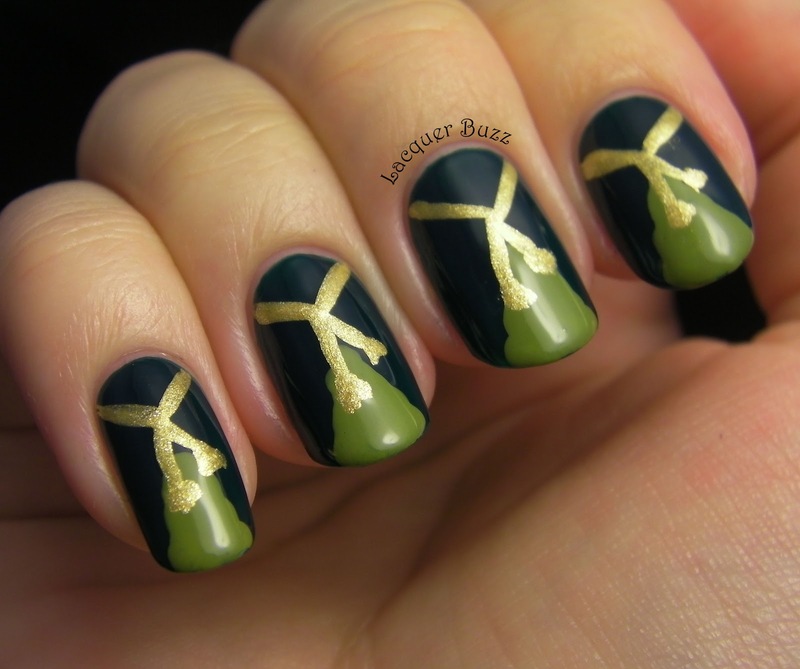 Girly Girl Nail Art Challenge Day 6: Who Inspires You? Hello again loves! If it's Sunday, then it must be another day for the Girly Girl challenge. Today's theme is a little intense, but I decided to tone it down and make it fun. We were supposed to create a manicure inspired by our female role model, but since I really don't have one, I decided to choose a strong and confident woman from the fictional world instead. She definitely inspires me because she can survive any challenge and of course be pretty while she does it. 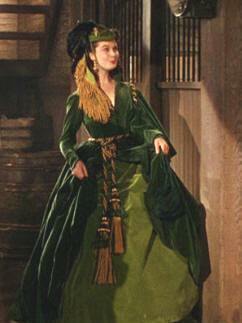 I'm talking about Scarlett O'Hara from "Gone with the Wind". My inspiration was the dress she made out of her mom's curtains so Rhett wouldn't find out how poor she was. I really like how this manicure came out and I hope you do too. This was fairly easy to do and didn't take a lot of time. I started with a base color of Rapsodi 350, a dark forest green that I picked up from a local shop for under 1$. 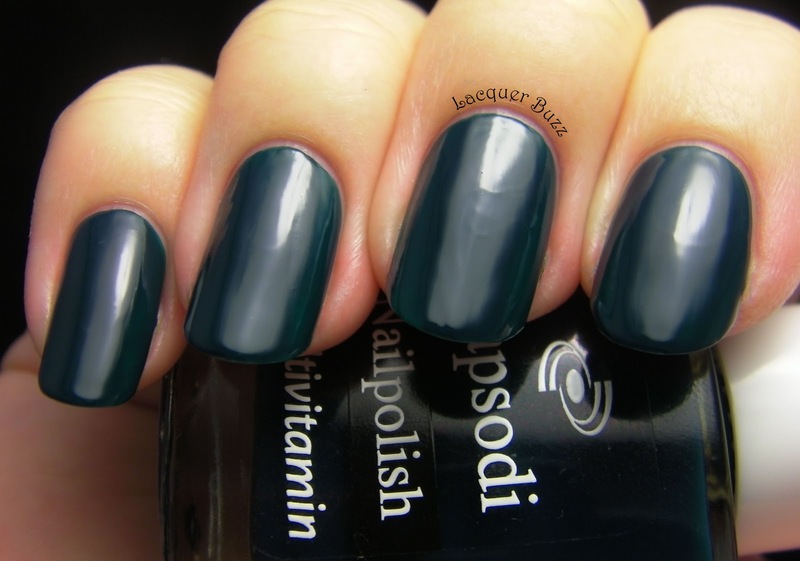 It has a decent formula but is pretty sheer, so 3 coats were needed to make it opaque. It applied smooth, although the brush is pretty wonky and there were a few bubbles on the nail. Here it is by itself, without a top coat. It's actually lighter in real life but for some reason these colors always photograph darker for me. You can see there was a bit of unevenness because of the brush. I'm sure some top coat would have solved that but I didn't apply any because I knew I was going to cover it with nail art. My inspiration for these nails was this picture here. I used a dotting tool and a custom made color to do the lighter green part. 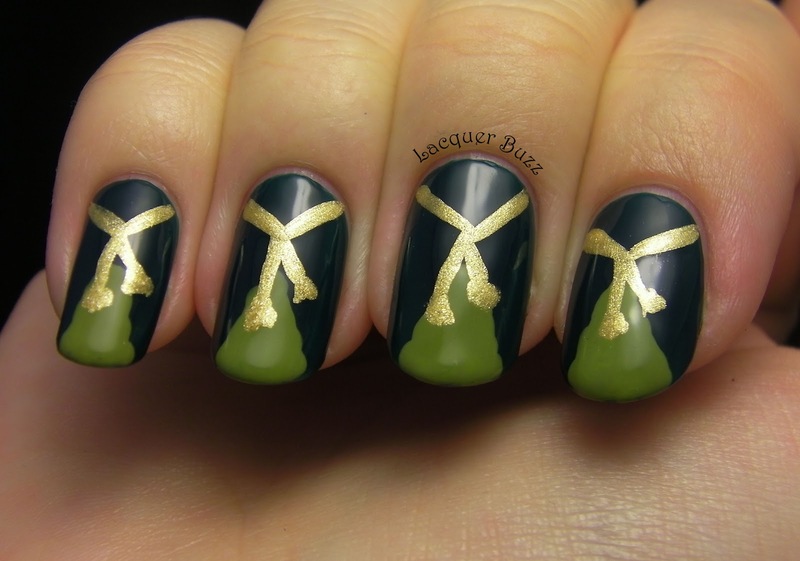 I actually mixed H&M Hunt Me Down and Rimmel Limealicious to make a dusty olive green, which I don't have in my collection. Then I applied it messily with a dotting tool to resemble the ruffles in her dress. 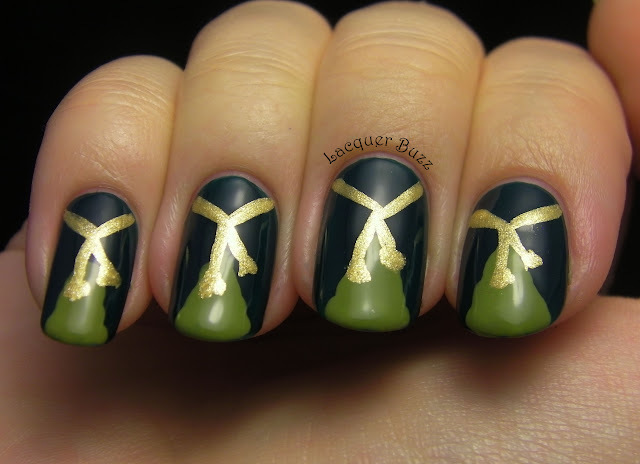 I used a gold striper from Golden Rose (Nail Art 108) to freehand the belt and the little tassels. Finally, a coat of Seche Vite and that's it! I hope you like this and thanks for reading! Here are the other ladies participating in this challenge. Thank you Jacqui! I did a lot of thinking for this one but I'm glad it worked out in the end. I'm so glad you do! Thank you!